#WW I Avoided Certain Books. Here’s Why. Right now, I’m basically reading all the novels I’ve avoided over the past year or so. Why did I avoid these reads? I can honestly just guess—since it’s difficult to remember—but I thought it’d make for an interesting topic. The first novel I picked up was The 5th Wave by Rick Yancey. I already finished and reviewed it on Goodreads. Five fantastic alien stars. (No kidding.) I could barely put it down, and it kept me up way too late at night . . . which caused me to have some awesome (and wicked) alien dreams. That being said, I definitely reflected on why I avoided this phenomenal YA novel. My best friend and her husband recommended it to me first, and I often love their suggestions. In fact, I exchange nerd-dom news with them on a regular basis. So why did I immediately shut down The 5th Wave? It was everything I’ve ever enjoyed before: thrilling science-fiction with an underlining mystery in the midst of survival. And there’s a teddy bear. Who doesn’t love teddy bears? 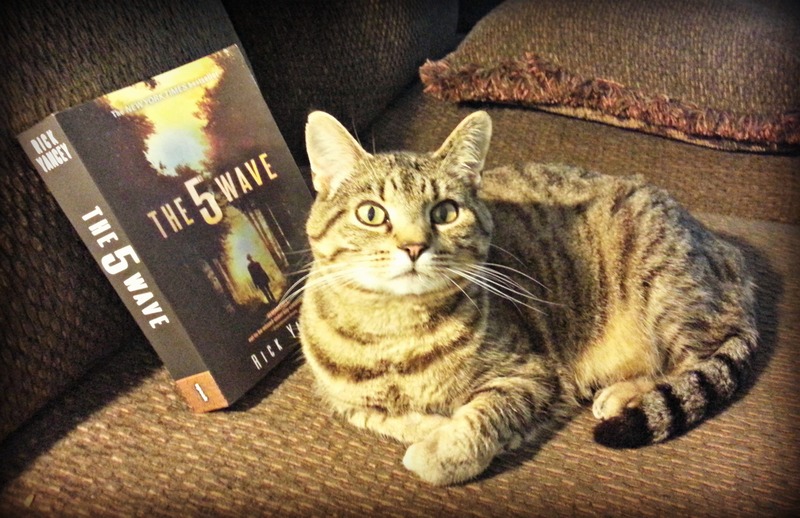 This is Kiki, judging me for not reading The 5th Wave sooner. I’m an author. I want to understand this from a psychology standpoint for my own novels. Was it the cover? Could this be avoided for readers looking at my books? Was it the back cover? Was it the main character’s name? Etc. And being an author made me HATE the possibility of being a judgmental reader, a.k.a. a book snob. That’s not me. So what’s going on? I literally made a list of possibilities. (Literally. I love lists . . . and psychoanalyzing myself.) And I was brutally honest with myself. At first, I thought it might have been because the protagonist’s name is Cassie, and my best friend’s name (yes, the one I mentioned above) is Cassie. Maybe it was too weird for me. (What author can avoid this?) But then I realized that couldn’t have been the case, because I read this entire 500-page novel in a few nights, and I never pictured my friend shooting a M16 at her enemies. They even have different hair colors. So . . . it wasn’t that. And it wasn’t the cover, because I actually kind of like how different the cover is, borderline thriller (which the novel is), mixed with an almost sepia-like glow in a forest. (Basically, if there were a pretty girl in a dress on the cover, it would not have made sense. At all.) My problem wasn’t the language or the violence either. I loved both. And the title didn’t confuse me, and the concept didn’t . . . wait. The concept. So, the concept is where I saw myself stumble. (And you might want to read the synopsis just so you get what I’m talking about.) But the back of the book explains that this novel is about aliens taking over in a variety of “waves” (ex. The 1st Wave is an electromagnetic impulse, so we can’t use our technology.) Now, we’re waiting for The 5th Wave. Why did this bother me? It sounds AWESOME. Well, that’s what I had to figure out, and I did. Although it might be strange to some, I started with “why did I pick it up this time?” I thought starting in the NOW would help me figure out the THEN. And it did. I recently watched Star-Crossed, a CW show about aliens that evidentially got canceled. (A fact I did not know while watching it on Netflix.) And even though Star-Crossed and The 5th Wave are VERY different, I was dying for another alien story. So then it occurred to me. When was the last time I actually READ an alien story? This was difficult for me . . . which is strange because I read a lot . . . so I then realized I avoid alien books altogether . . . which was strange because I grew up around tons of alien books and intergalactic travel novels in my house because my mom was a trekky and overall book junkie. I’ve probably avoided alien novels since my mom died . . . back when I was eleven. Not entirely of course. But most of the time. Even though I love them, I think subconsciously aliens might have been “too close”—a topic that brought back too many memories. And while that sounds sad and all, (I get it. It was for me.) I think I overcame this psychological subconscious avoidance of alien books just by reading The 5th Wave. This novel solved a problem I never even knew I had. Books truly affect our lives in ways we can’t even begin to understand, and I like to believe that’s because reading falls along the lines of love. You can’t explain it, but it shapes you. And that’s why I’m picking up even more novels that I’ve avoided for one reason or another along the way. Who knows? It could be the most impactful read of my life. On a fun side note, my recent vlog on my YouTube channel, Coffee & Cats, covered The 5th Wave, including the upcoming film adaptation, and a movie recommendation similar to it while you wait. Considering I’ve been watching this show since 2007, and I started reading the book series in 2002, I cannot believe the last season is premiering tomorrow night! 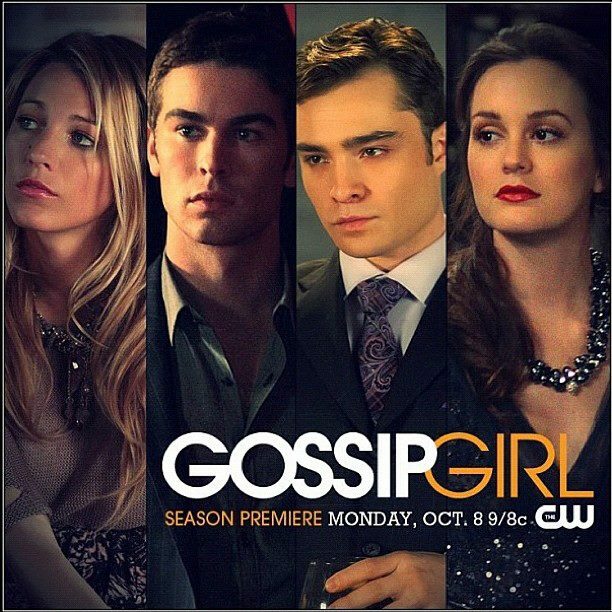 Based on the best selling YA series by Cecily von Ziegesar, Gossip Girl is a drama-filled soap about the Upper East Side—who’s rich and who’s richer. Although the show itself doesn’t follow the books at all (except for the very first episode of season one) I fell in love with this guilty pleasure of mine. If you have the same guilty pleasure—watching melodramatic teenagers throw money around while attempting to control their angst and act like adults, then this New York soap is for you. Even better, the final season is upon us tomorrow, so you don’t have to wait for anything new once this season is over. Click here to watch the season promo (because it’s as drama-filled as the show itself). And click here to read more on the original series.